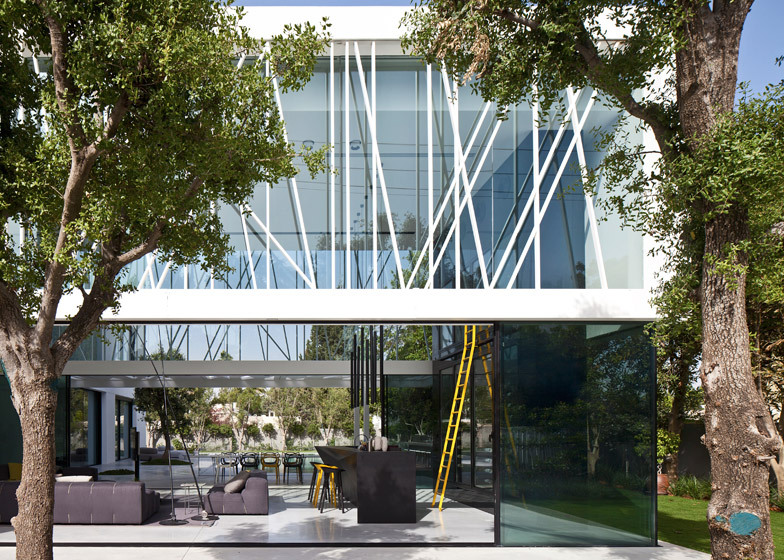 Two intersecting volumes create this house of two parts by Israeli architect Pitsou Kedem – one side is dedicated to family life while the other is an entertainment area featuring a six-metre-tall wine cooler (+ slideshow). 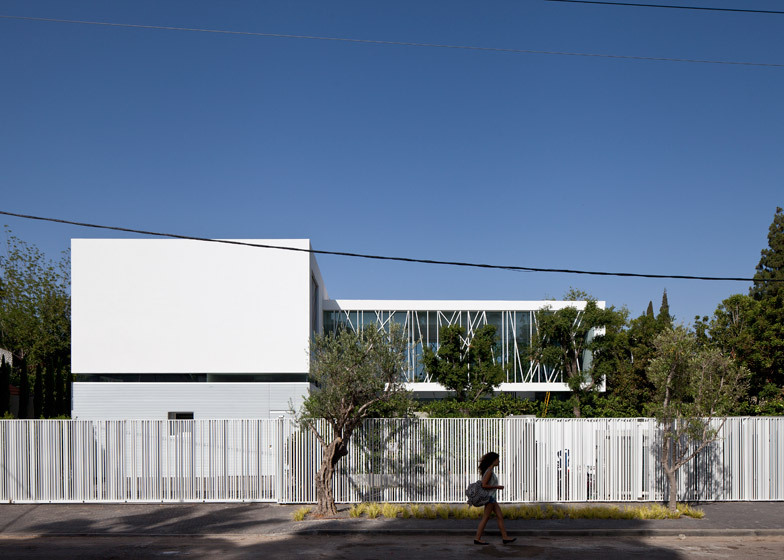 Located in Savyon, a neighbourhood near Tel Aviv, House of Parties was designed by Pitsou Kedem as a T-shaped building with a swimming pool located in its crook. 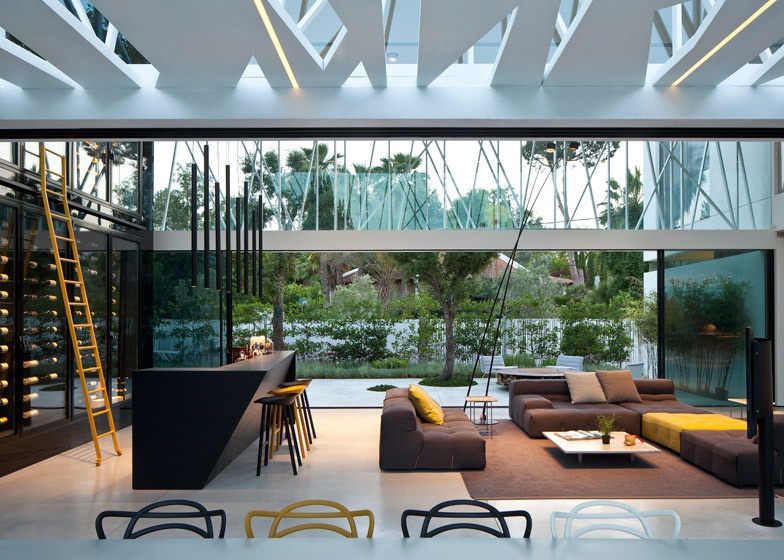 The brief was to combine a family home for a couple with three young children with a space for entertaining guests. 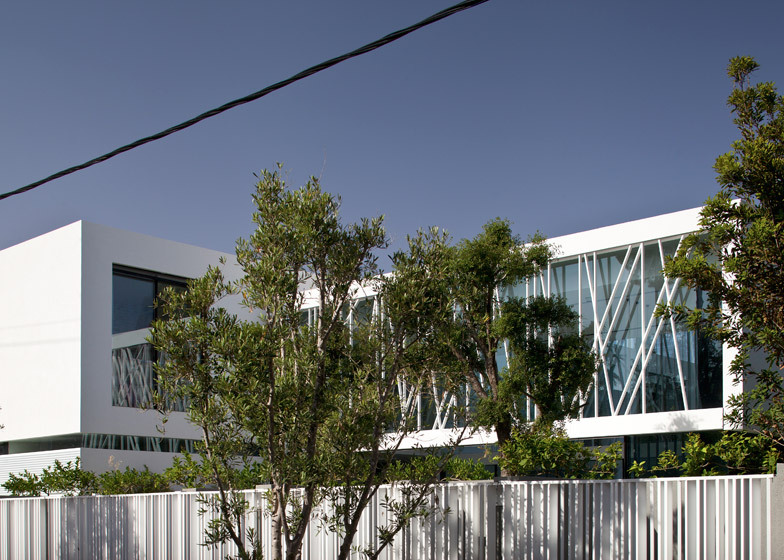 "When we want to go to a party, we usually have to leave the house," said the architect. 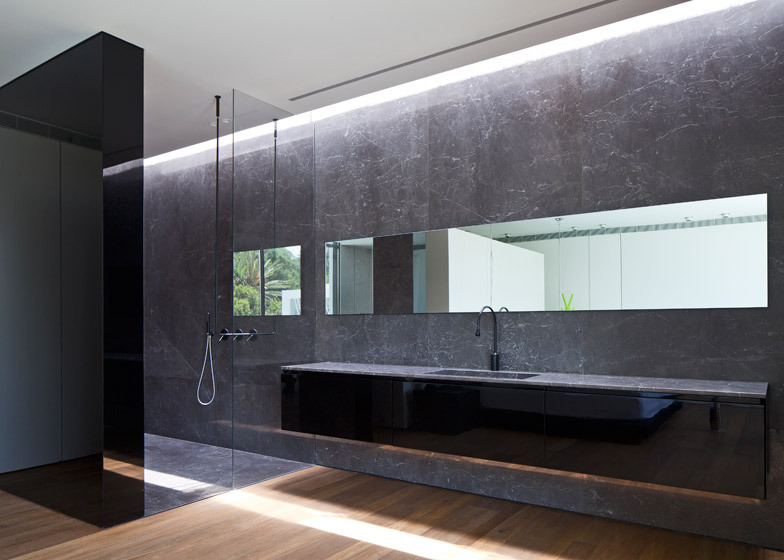 "This couple wanted to combine two functions into the same space." 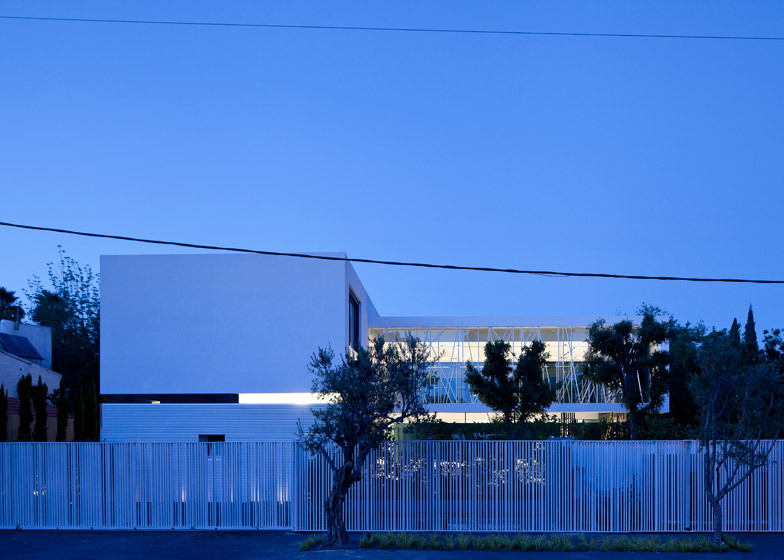 The two-storey family home is housed within a white-rendered block that borders one side of the pool, while the double-height party space stretches out to one side. 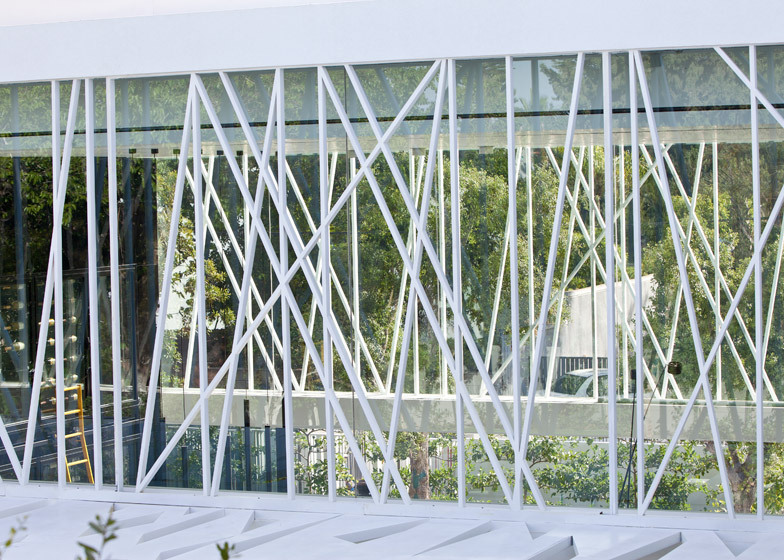 It features glass walls flanked by a white lattice framework. 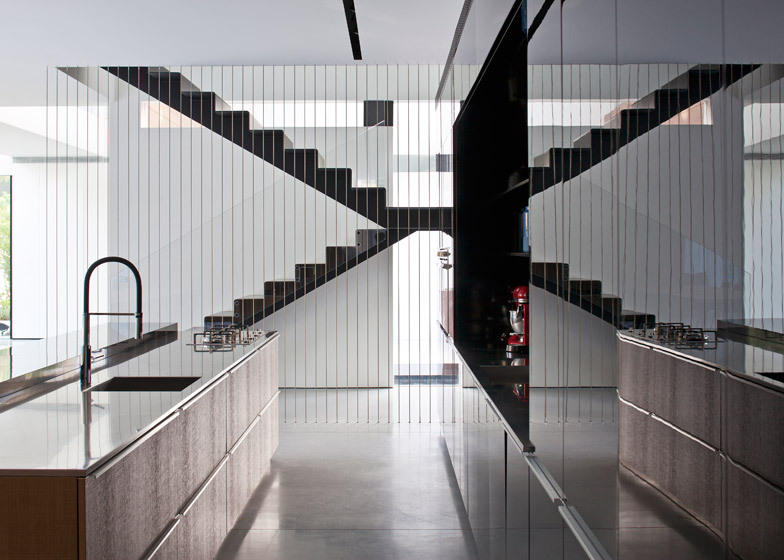 Spanning one wall of the space is a vast glass-fronted wine cooler. A bright yellow ladder leans against the fridge, providing access to bottles on the upper shelves, and adding an accent of colour. The wine wall sits to the rear of a glossy black bar, featuring a wedge-shaped front that gives guests knee-room when seated at the counter. "The bar is built using unique angles that allow guests to sit together informally," said the team. 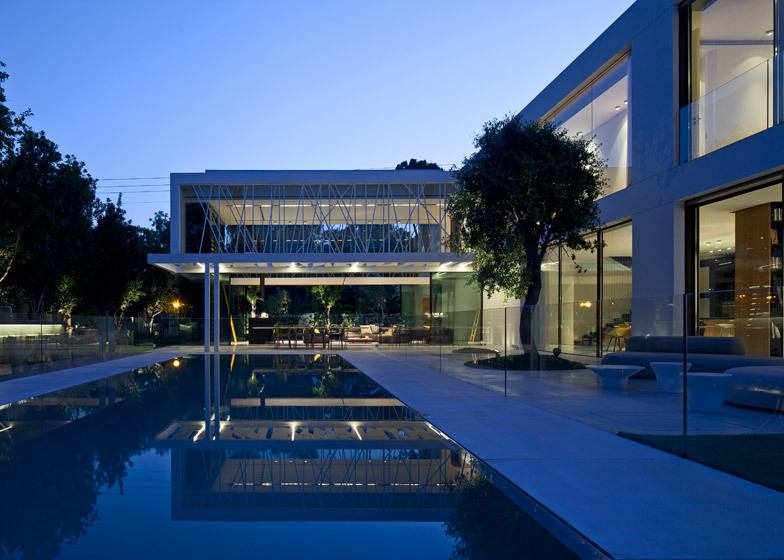 Glass walls can be pulled back from either side of the social area, connecting with a tree-lined courtyard at the rear of the house and a pool-side patio for outdoor eating. 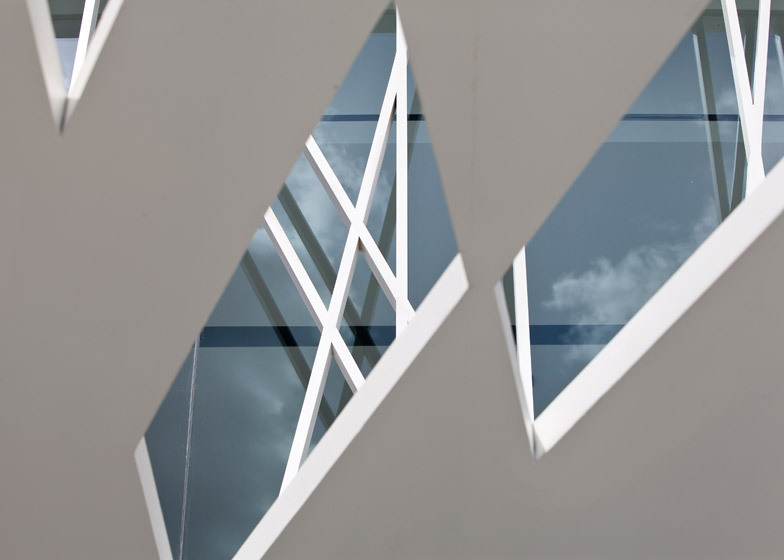 "The central space was constructed as a unit that allows for the total nullification of the walls between the space and the outside," said Kedem. 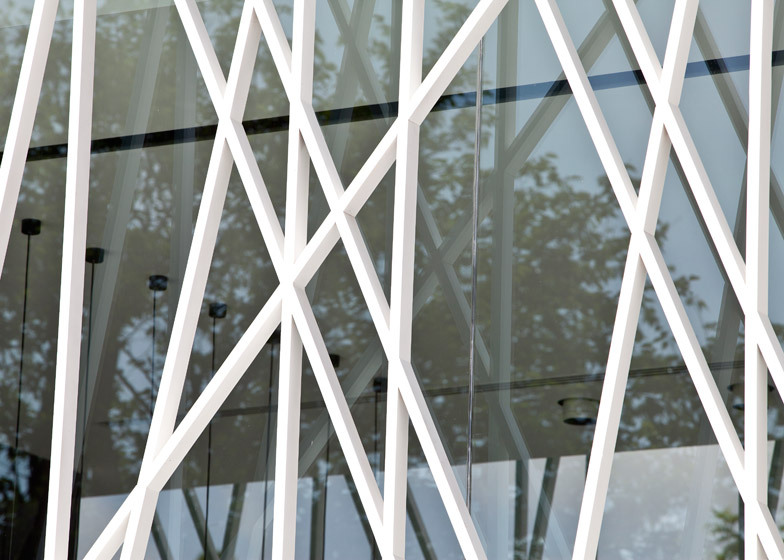 The glass hood of the structure is covered in criss-crossing latticework. 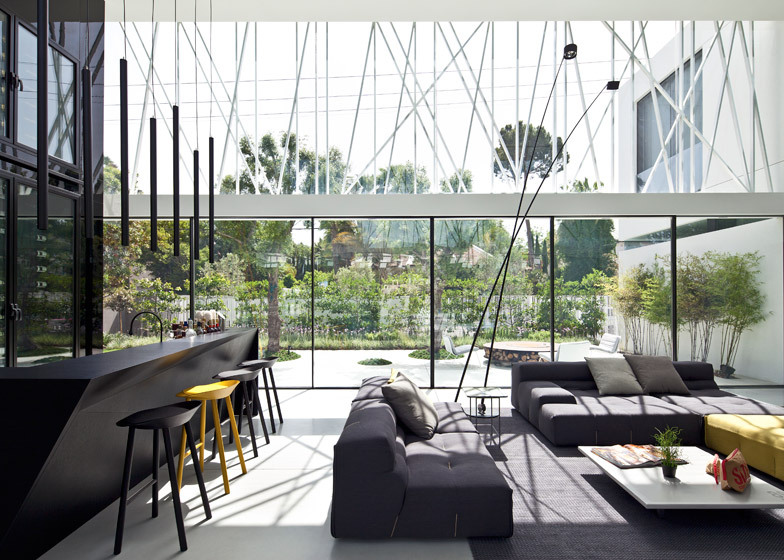 A pergola made up of thicker lines angles out to cover the outdoor dining area, designed to create "shadow projections that correspond with the play of shadows within the house". From the centre of a wooden wall at the opposite side of the space, a wide door pivots into the separate living room and kitchen for the family. Bedrooms and bathrooms are located on the storey above. 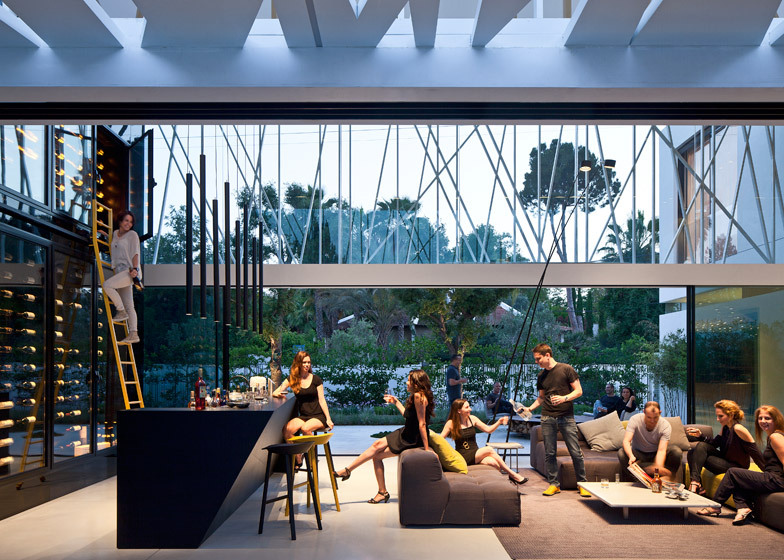 Photographer Amit Geron sought to capture both the everyday nature of the house and its appearance during parties. A straggler from an ill-fated party is even pictured floating face-down in the pool in one shot.